I am at Day 4 post-LASIK treatment and will continually update this post as we go on. For now, I’d just like to write down my whole experience with going through the treatment so that some of you out there may find helpful when choosing your treatment of choice. Also note that I am writing from Malaysia on January 2016 so prices that I share may be different by the time you read this. I began to consider undergoing the LASIK treatment when I was about 19. Since then, I’ve had numerous friends who did it and I remember always being envious. I would ask many, many questions about it in hopes that i would be able to convince myself to do it. I never got to doing it due to many reasons, but mainly because of the cost of the treatment. It’s a luxury that I don’t necessarily need, so there was no reason to convince or discuss about the treatment with my family. Now that its been a couple of years since I’ve been earning for myself – I came to a point where I just felt it was something I can afford and is willing to gift myself. I found OPTIMAX that actually allowed a 0% installment payment scheme. I looked into it and asked around to see who’s been there and if the treatments were safe (since there were different promotions and schemes constantly going on). I’ve had friends who has been there and they are all past Year 5 post-treatment and seems to be doing very well. I decided on going for my treatment at OPTIMAX after comparing prices and reviews. The place was also very near my workplace which made it very easy to move around for check ups. Honestly before I went around considering the LASIK treatment, one of the things that I wanted to do this year was to undergo a thorough eye check up. I’ve never done one for the past 26 years and thought it would be healthy to just know what’s going on with me eyes after daily contact with lenses, solutions, make up residue and what not. There could be some sort of brewing infection waiting to be discovered. I guess growing up really makes you slightly more concerned about everything that comes to your body. I stopped wearing my contact lenses for a week as the lenses change the shape of your eyes. The eye check up costed me RM 195 and it helped me determine my eye shape, dryness, power, corneal thickness and what not. After the checkup, the nurses will be able to determine if you’re eligible to undergo the surgery. I was immediately cleared for the surgery, and was asked to make a booking if I had a date in mind. I’ve seen reviews where the patients actually did the surgery on the same day of the check up, but not so sure cause I wasn’t given the option as my check up was at 2PM. 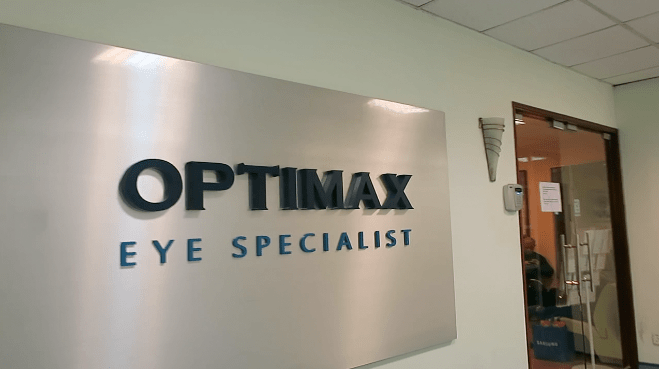 The guys from OPTIMAX did tell me that if I were to choose to do the surgery on the same day, I would have to do my eye check up in the morning instead. I decided to do the surgery on a separate day as I had other things to settle before really going into rest mode. The check up left my eyes dilated as part of the process to really analyse my eyes. It stayed dilated and never really went back to normal until only about 2 days later, which was the day I made an appointment for the surgery. I was told the surgery only takes an hour or so, so I got my dad to take me there. I’ve heard crazy stories about how there was one time this couple went for the treatment. The wife went in for her surgery whilst the husband went outside for a cigarette. The wife apparently was done even before he was done with his cigarette. That was extremely fast. In my head, that could only take about 15 minutes max. It definitely didn’t take 15 minutes for me. 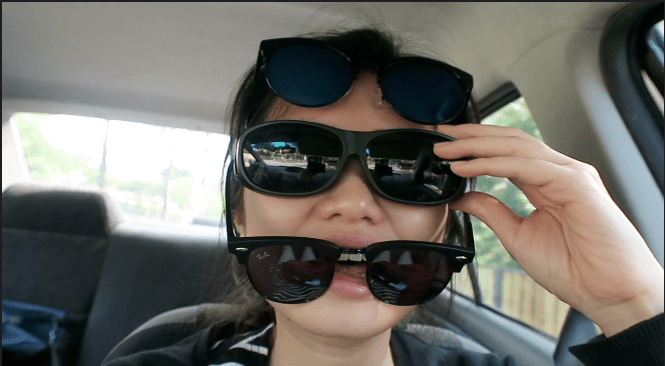 Snippets from my vlog : Making sure the sun doesn’t come in as my eyes were very dilated! The clinic suggested three different types of treatment but really focused on two, as the other one was more suitable for people who were serving the army or didn’t want traces of their surgery left in their eyes. I was introduced to FEMTO-LASIK and RELEX SMILE. In easier terms, this is the breakdown of what both treatments are in my words. Please do some research somewhere else and some trusted site if you’re looking into this seriously. This is just my interpretation of what I understand the treatment to be. FEMTO-LASIK (approx RM 8400 for both eyes): This treatment makes a flap from the cornea of your eyes in Machine A. That flap is a little U shape made in the centre of your eyes so it creates an opening to do the treatment on the affected area. That flap is then lifted up in Machine B, and the laser treatment happens – treating and zapping away all the causes of your eye problem. Your flap is then closed and sealed. You will wait for it to heal and be more adhesive. RELEX SMILE (approx RM 12000 for both eyes): This treatment just creates a hole at the corner of your cornea. The surgeon then extracts a layer of something (that is apparently the factor to your eye problems) that’s under your cornea through the hole. What’s left to heal is the little hole and it’s less invasive the FEMTO LASIK. I chose to go in with the FEMTO-LASIK treatment as it was a lot cheaper, and many friends have been through that and is safe anyway. RELEX SMILE was a newer technology, but I had to pay RM 4000 more if I wanted that. It was quite a quick decision for me as I wasn’t exactly at the luxury of wealth. Going for this treatment, I had to know what I was up for and I wanted to manage my expectations with the healing too. I asked a lot of questions, but I went on to look up on the internet for more details on my treatment. I tried watching a couple of surgery videos but it later turned out slightly gory for me and I didn’t want to scare myself before the treatment. One MAJOR thing I had to know, or for anyone out there to know, is that if you were to do a surgery that has to do with creating flaps in your eyes – it will never fully, fully heal. The flap in your cornea will “heal” by being adhesive to the layers of your eyes again, but one of the better metaphorical examples to explain this would be imagining a long stick being broken in half and being sealed together with the best glue you can find. It won’t break however you swing it, but if given an impact strong enough – it will break apart where it once broke. Your flap WILL be able to be lifted (again) in 3,5,10 years ahead and possibly many more – if needed. This is probably the BEST reason why you should take RELEX SMILE if you don’t want to be prone to a lifelong risk of having your cornea flap dislocated or wrinkled. The most comforting token I guess for me is that if anything hits your eye with such impact in future, SOMETHING will happen to your flapless eye anyway. So it really comes to perspective. Day of treatment : Decided to wear a button up shirt so I won’t need to struggle with pull up’s post-surgery. 10.15AM – I arrived at 10.15am for my 11.00AM surgery. I was asked to go in earlier as they needed about 45 minutes or so to prepare for my procedure. 10.25AM – I met my surgeon, Dr Yen, who asked me in the room so she can have a look at a scar in my eye. My first reaction to that was “What scar?!”. Apparently during the eye assessment two days before, they found a little scar at the lower bottom of my right cornea. She took a look at it, and said it was possible to not cut through it – she’ll try, but even if it did – it wouldn’t be much of a problem as it’ll heal. I was slightly worried, but I believe I was in good hands after all that research. I personally did a research on Dr. Yen as well and she had happy patients (coincidentally, one who also had a scar). I asked her if it was going to be alright, she assured me so – and I trusted her. 10.35AM – I was then taken into other rooms for a final check up to see if my power was fluctuating from two days ago. I was told everything was very consistent and that I would just have to wait till it’s my turn. Of course, I had to pay before my treatment. 10.50AM – I was called in the surgery room. I left my shoes outside the room and was told by 3-4 nurses in the room to change into my blue patient attire. They only had XL and XXL so I spent quite a while being puzzled as to what to wear. They told me to wear thicker clothes so I assumed I could wear my own clothes in the theatre but I guess not. 11:00AM – I was sat down for a briefing by probably who seems to be the head nurse. I was given a pack of eye care and was briefed on how to use them. There was an antibiotic called Tobradex, a pack of lubricant eye drops, painkillers (only if necessary) and an eye shield for your night sleeping purposes. I wore paper socks too. 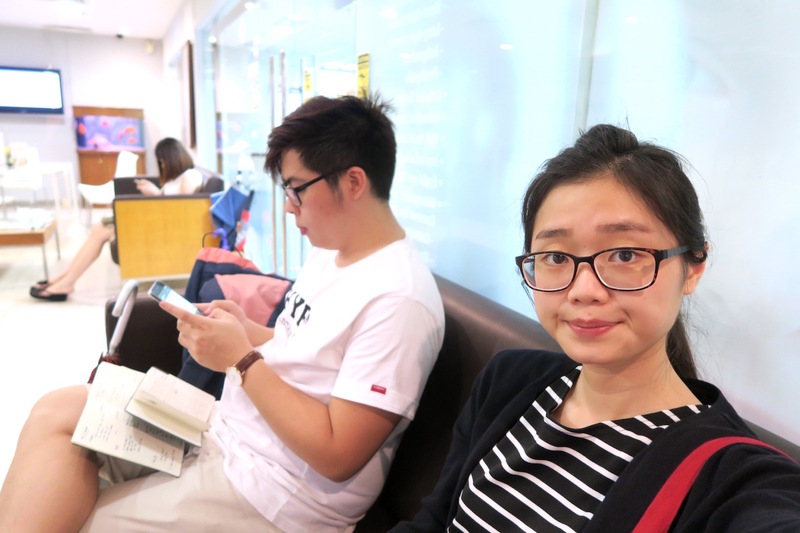 11.10AM – Dr.Yen sat down with me after the nurse finished with her briefing to explain to me again what the surgery is like, and also what to do and not to do after it. She went through process of what’s going to happen later in the surgery, which light to look at, what sound to expect, and checked if I was feeling okay. She told me we were going to move to Machine A, and then walk to Machine B to complete the treatment as they were different machines to do different things. I asked quite a few questions, but nothing she hasn’t already been asked by other patients. Just wanted to make sure what I knew about the flap healing was true, and she was very nice to set my expectations. 11.20AM – I was taken to a section of the room to do a final check up, get the anesthetic drops to let it sit before the surgery, and for the nurse do clean the area around my eyes. They were all very gentle and i loved the feeling of having ‘sanitized’ areas around my eyes. My eyes began to feel slightly swollen (probably from the numbing). I felt like my eyes were slightly bulging out of my eye pockets. 11.30AM – I walked in the surgery room. It looked like a dentist chair to me, but probably Business Class kind of dentist chair. The nurses laid me flat on the chair/bed that had a headrest like those in the salons where they wash your hair. They also gave me a blanket incase I was cold. Dr.Yen checked with me one last time if I was feeling okay, if I was nervous. Honestly at that point of time, I was pretty much nonchalant about it. Not nervous, but excited rather. This was FINALLY happening. In the next hour, I would be healed!! I laid down and by this time – I’m guessing my eyes were almost completely numb. 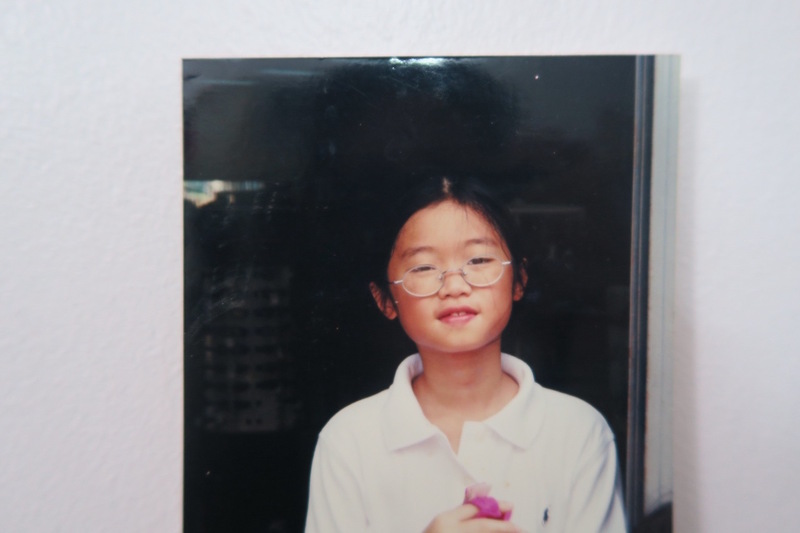 11.35AM – I don’t really remember the procedure by exact sequence, but I do remember having Dr.Yen asking me to look towards her (upwards) and she then took what felt like masking tape to tape the edge of my upper eyelid to stretch it backwards, and then the edges of my lower lids and stretching it downwards to allow a working vicinity. All these were done with my left eye closed and covered, as we worked on the right eye first. I then saw her use a clamp to make sure my eyes remained opened. I thought it was going to feel alot more uncomfortable when it came to the clamp, it actually just felt like cold silverware sitting PERFECTLY in between your lids. Your don’t really feel it there. I remember having lots and lots of water (saline?) put into my eye probably to wash off any residue or oil. She did some other things, but I don’t really know what was going on but nothing hurt. In my head I remember thinking – ‘Wait, what? It’s already happening? My flap is being cut right now?” whilst trying to stay as focused as possible to the green light in the machine. By the time I was done wondering, we were already done and the machine made its distance until it declared “Safe distance”. That felt like NOTHING at all. I didn’t feel ANY kind of sensation when it was creating the flap. That was SUPER EASY. But I realized I was quite nervous as it only really DAWNED on me that I now have an eternal flap in my eye, and I found myself pinching the blanket so hard in between my thumb and pointer. The proceeded with my left eye and everything was pretty much similar. 11.45AM – We were done with Machine A. Both my eyes already had a flap. The nurses guided me up from my chair/bed and held my hands and walked towards Machine B – where the REAL deal is. Machine B was the real treatment. I laid on the chair again, not so nervous now cause everything was pretty much painless. Dr.Yen did the same thing again, opened up my eyes with the masking tape-like thing as well as the clamp. She told me she would open up my flap for it to be operated on. To be honest, I was feeling this SO MUCH more. I could feel everything that was happening in my eyes, but I’m assuming it’s also because of the anesthetics wearing off. It wasn’t painful, but very irritating to my eyes. She warned that she was now going to open up the flap, I could see the tool coming towards me and my vision slowly blurring (as the cornea flap is now open). She tugged it gently left and right, and said it was normal if it was going to be blur. The whole process was honestly quite uncomfortable for me, though really really not painful. I did the same blanket pinching thing as I didn’t exactly expect to feel that way. My body started to tremble because I was honestly quite nervous now that I can feel things. I tried to control it as I didn’t want my body motion to affect the surgery. 11.55AM – The machine came towards me the same way it did for Machine B. This time, Dr.Yen told me there was going to be a green and red light. My vision was really blur and there was quite a strong glare so I couldn’t really tell which was the spot I was supposed to look at as they both seemed green. At certain points I was able to identify the green from the red, but most of the time I only saw one red with a huge glare that probably covered the green (or the other way round). Bear in mind that my flap was open so having such blurry vision was probably super normal. I told her I could only see the red most of the time, and she assured me that it was okay. Red was fine to focus at too. It probably may not have mattered, but I don’t know. I didn’t feel anything here too, except it probably felt slightly breezy in the eye. Same thing, my vision was isolated entirely from the surroundings. There was the same countdown again, and this time I was more prepared and didn’t really wonder about if things were already happening. The green light disappeared halfway through the treatment and I was quite worried that something was going wrong. I stared at the same spot where the green light was, just incase. The countdown ended, and the machine moved away. Dr.Yen pulled me back to her and my guess is that she proceeded into putting my flap back into place. I remember seeing her use this brush-like thing to flatten the flap into place. That didn’t feel tickly or anything at all. I could just see it there. During this procedure, my right eye has begun tearing quite a bit as it was a really irritable feeling. I remember not being able to see much, as it was blurry until the flap came back on – but it was still pretty much blurry as I didn’t have much time to focus before they covered my right eye to work on the left. The whole procedure on the right eye was the most sensation I’ve felt throughout the whole process. It was ALMOST near slightly painful but not at all either. I can’t really seem to find a way to explain the feeling. Maybe just imagine a light feather that keeps trying to push into your eyes. It’s not painful, but its not exactly a “painless” feeling. 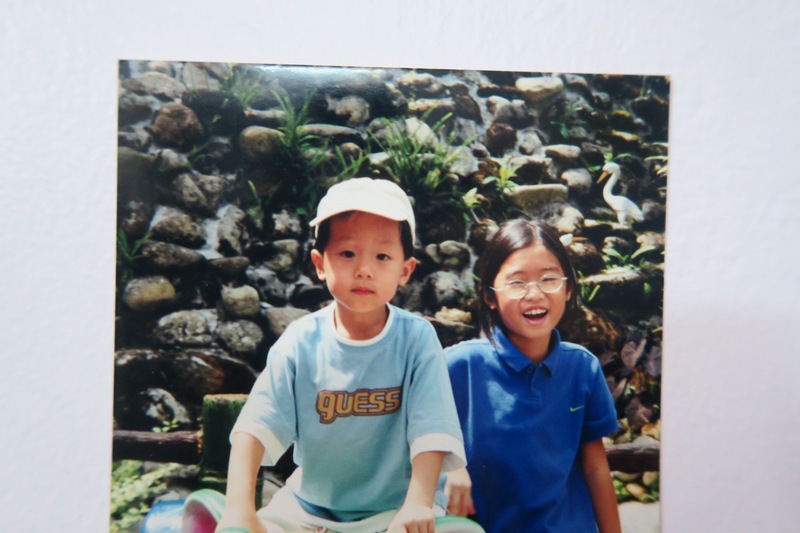 12:05PM – I asked for a short break as my eyes were squeezing alot due to the discomfort on my right eye. Dr.Yen asked me to open both my eyes but I wasn’t sure if my right eye was open as it has been tearing and probably protecting itself from the feeling. When they were beginning to operate on my left eye, I’m assuming even more of the anesthetics wore off and I could feel EVEN MORE. I told Dr.Yen about it and the nurse proceeded to give a little bit more of the drops. We waited just probably for about half a minute for my eye to stop twitching and the numbness kicked in. My eyes were ready to be worked on again. This time it was alot easier and sensationless as the anesthetic was fresh and strong in my left eye. The doctor moved by flap and I felt nothing and just saw my vision start blurring off – just like my right eye. The procedure repeated, but this time it was a lot better. 12.15PM – I was done. Dr.Yen told me everything went well and the nurses guided me up. I was quite worried something went wrong in between. I had a sudden moment where I felt like my right eye was absolutely dark in vision – it was probably cause it was closed but I couldn’t tell. I could see my way out, but the nurses held my hand and made sure I didn’t miss a step. I met the doctor outside the surgery room, back at where they cleansed my eye area and she had me open my eyes to look at them with the microscopic machine thingies. I couldn’t stretch them open as it was tearing alot and it felt like there were eyelashes in my eye. She told me to kindly bear with it as she needs to see if the flaps were put back nicely in place. I took a deep breath and tried to open it up. This time my left eye was still alright – but my right eye was feeling a bit more of the surgery. Dr.Yen gave me another dose of the anesthetic drops on my right eye but she warned me that it would wear off soon – and that my left eye would feel the same at some point of time. If it’s tough for me, the best way would to just grab some rest back at home and it should be fine after a while. We scheduled for the next check up the next day and I left with my sunglasses on. 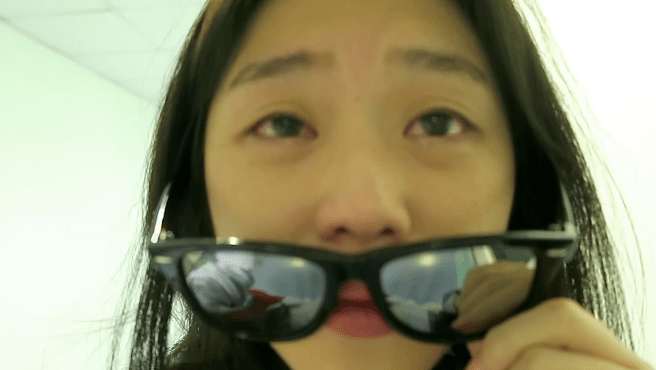 Snippets from my vlog : My eyes began to tear profusely! 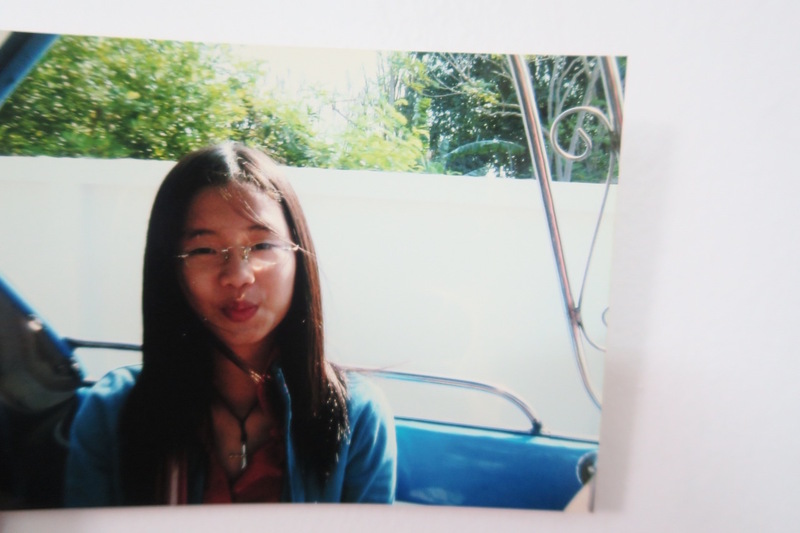 12.20PM – During my 30 minute ride back to my dad’s shop, my eyes were tearing profusely I could barely get them open. The glare was alright, but there was quite a sting in both my eyes. The best example for this is probably the feeling you get when you chop onions. It was also quite uncomfortable, and borderline painful. It wasn’t pain as in it hurts – but you get occasional jabs of stinging sensation in your eyes. My mom bought me lunch after that but I couldn’t eat it because I could barely open my eyes. Walking and everything was fine, but I had to force a little bit of my eyes open to walk and get around the steps. 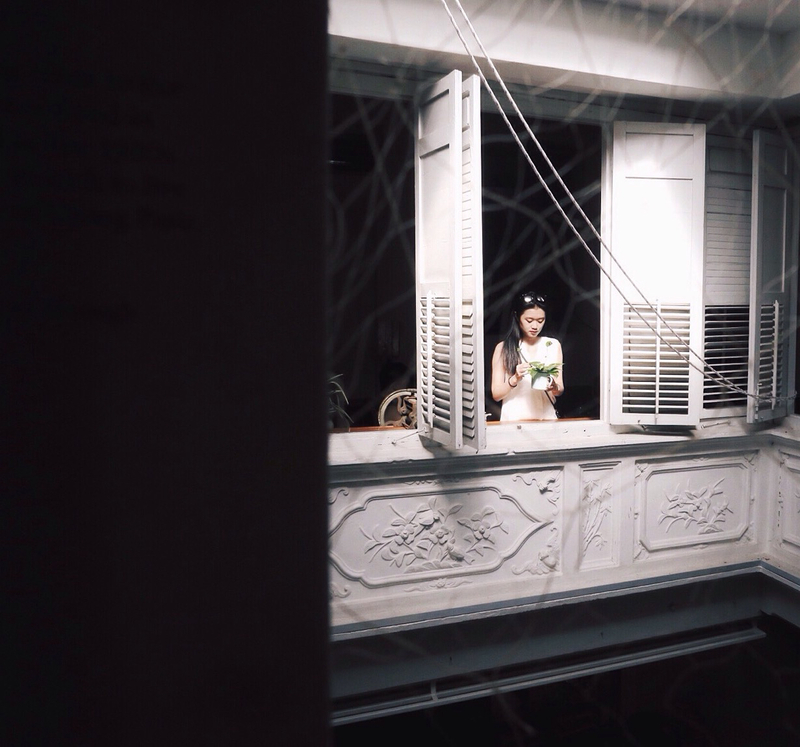 1.30PM – I got back home, the feeling was still the same. I was beginning to worry as it’s been a while now. Nobody really warned me that there would be so much excessive tearing and sting. I still had my sunnies on in the house, and cause it was so dark – i couldn’t see what I was eating. I knew it was curry, but I couldn’t figure out between chicken and fish. Snippets from my vlog : My lunch that I couldn’t see then. As I was tearing too much, I asked Siri to call up Francisca (who did her operation in OPTIMAX too) and asked if she remembered tearing this much. I was told that there would be discomfort but nobody warned me about tearing like this. She told me she didn’t remember – so i took a leap of faith and just believed that this was the absolute norm. I just quickly ate, took a shower and went to bed (with my eye shields). 3.30PM – I woke up halfway through the nap, and still felt that my eyes were tearing albeit much better now, I could open it probably 30% more than before. Dozed back to sleep very quickly. Occasionally find myself hitting on the eye shield by accident, probably I was trying to rub it in my sleep. Snippets from my vlog : How my eye shields look. Don’t judge my taping sklls please! 5.30PM – Woke up finally and felt MUCH MUCH MUCH better. I remember scrambling the sides of my bed to look for my glasses out of habit – but i remembered quickly that I can now see without them. I could now open my eyes with no problem. I walked around my house for the first time and only began to enjoy my clear vision around the house. So there you go, it took me about 6 hours or so for my eyes to go back to a comfortable zone but I’ve heard stories of where my friends only took about 2-3 hours before it felt normal again. And that is about how the whole ordeal went. If I had to put a Pain Meter to it, it would probably be 1/10. But the Discomfort Meter would probably be 6/10. But all these really only lasted the 6 hours, and after I went back for the check up the next day – the people at OPTIMAX told me it was completely normal 🙂 I wish they had told me but I guess they did, just not that it would be SO excessive. I had nothing to worry about. 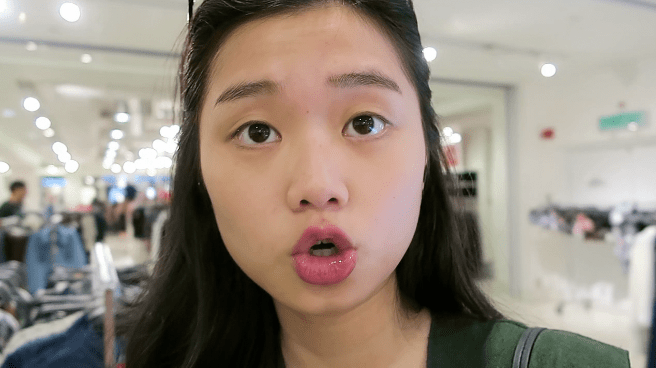 Snippets from my vlog : Day 2 after the treatment! Day 2 – Went back for a check up today and my vision is now 20/20! The nurses told me that me eyes were extremely dry so I should do the artificial tear drips every 30 minutes instead of every 2 hours. Dr.Yen wasn’t on duty that day so Dr.Stephen took a look at my eyes to see if they were healing nicely. They were and he let me ask any other questions I had in mind about healing. He also took the time to remind me not to wash my hair, and cleared me to drive even on the day itself. Day 3 – Today I’m already feeling absolutely normal. Went out from the city for a short getaway in Malacca. Was in my sunnies the whole time to protect it from direct contact with the air conditioner, wind, sand and glare. It takes your eyes about 1-3 days to heal so they are still in a fragile state. 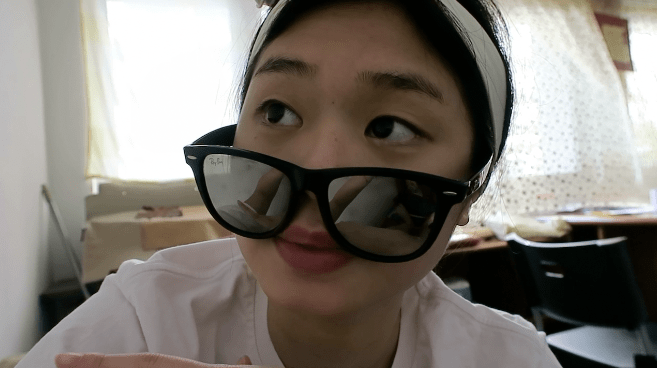 Snippets from the vlog : Day 4 // Post Op. No make up for a week. But I’m probably going to make it a month! Day 4 – Resumed Sunday activities as normal and went out to the mall. Was trying to look for a hair salon to help wash my hair. Couldn’t book Number76 at the last minute, and every where else charged at least RM60 for a simple hair wash. We went home, and my mom helped me do it. My eyes are usually really dry in the morning as I sleep with my eyes slightly opened. It’s quite a hassle to take the eye shields off and put in the eye drops, but I guess it has to be done! Will keep updating as we go! 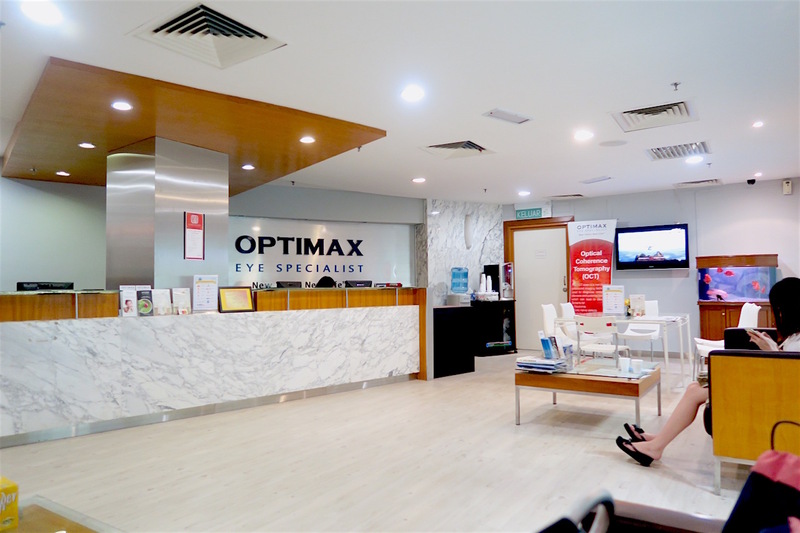 For those who’d like to do their treatment at OPTIMAX, I believe you can just find them easily and ask for the current rates. I am in no way affiliated to them so I wouldn’t know their updates quotes except for my own. Week 1 – Did my post surgery check up today. Everything is normal. My vision is now 0 on the left eye, and 20 on the right eye. The nurse commented that my eyes are very dry so they got me to buy this gel called Genteal Gel. It’s a gel formula you put in your eye 3 times a day, and indeed – it has improved tremendously. I sleep with my eyes open and that definitely does not help with keeping my eyes lubricated. This gel was the BEST solution to it ever. This entry was posted in Lifestyle and tagged cornea, FEMTO LASIK, flap, healing, LASEK, LASIK, operation, RELEX SMILE, Surgery, Thenatstory.